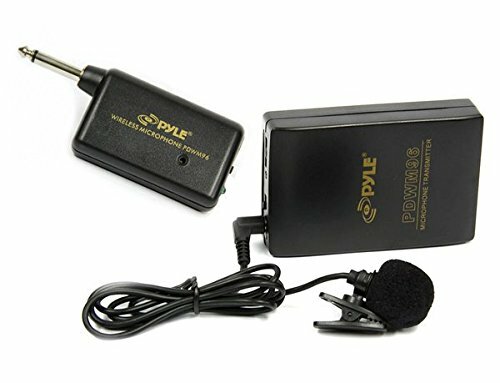 PylePro Model : PDWM96Wireless Lavalier Microphone SystemWireless Microphone System with Beltpack & Lavalier Mic Bodypack Transmitter w/Clip-on Lavalier MicrophoneReceiver w/ 1/4'' PlugVolume ControlSuper Compact DesignOperation range: Up To 60 ft.Batteries IncludedFrequency Range: 176 MhzUsing manufacturing breakthroughs pioneered by Pyle, the PDWM96 system redefines the price point for quality microphones. Class A solid state electronics are engineered for low noise, distortion and coloration. You will be amazed at how much microphone PDWM96 gives you for the money. Pyle has been in business for over 35 years, and their manufacturing experience and expertise is easy to see - and hear. 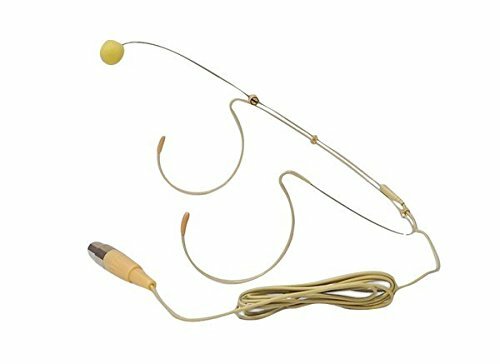 This headworn omni-directional mic has a back electret condenser for crystal-clear recording of your voice. 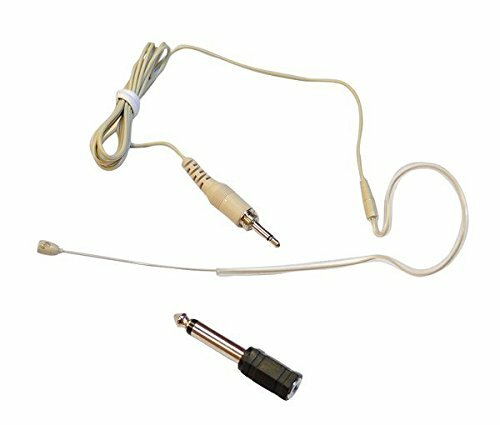 It uses a 4-pin mini XLR connector, so it’ll work great with your Shure system. Includes windscreen. The Pyle PDWM2135 delivers clear, noise-free wireless transmission and excellent sound reproduction. Simple setup and installation allow you to transmit clear sound instantly. 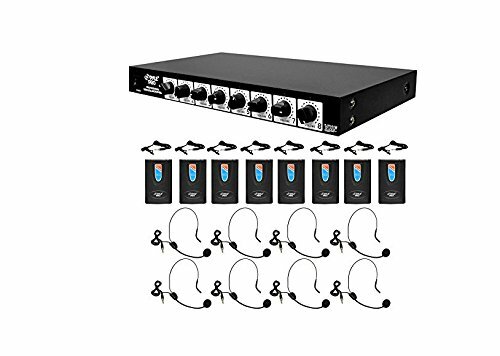 System features include (2) handheld microphones, VHF narrow band system, dual frequency design, high signal to noise ratio performance and more. 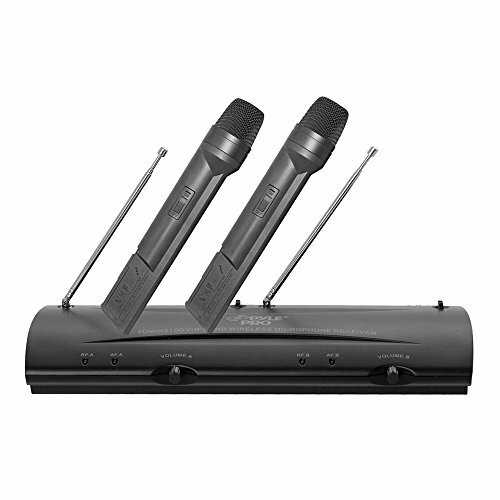 Enjoy dual channel voice distribution across the handheld microphones. 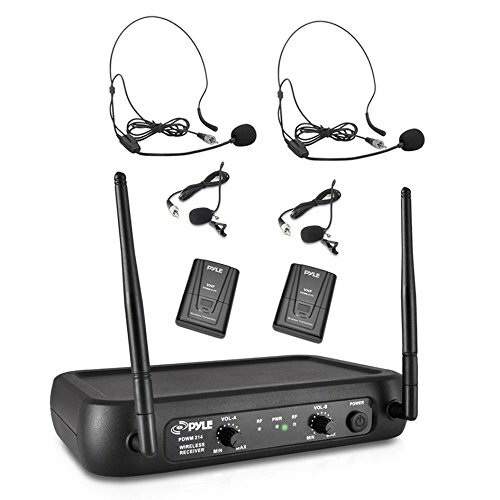 Whether used for work or play, for on-stage vocal performances or conference room speeches, this wireless microphone system will provide you with a quality audio experience. Enjoy hassle-free and reliable wireless sound transmission with today's latest system technology with this all-in-one package. The Pyle PDWM2145 delivers clear, noise-free wireless transmission and excellent sound reproduction. Simple setup and installation allow you to transmit clear sound instantly. 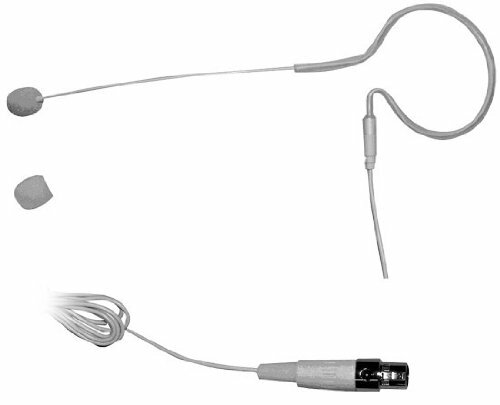 System features include two body-pack transmitter with two headset & two lavalier microphones, VHF narrow band system, dual frequency design, high signal to noise ratio performance and more. Enjoy dual channel voice distribution across the transmitters. 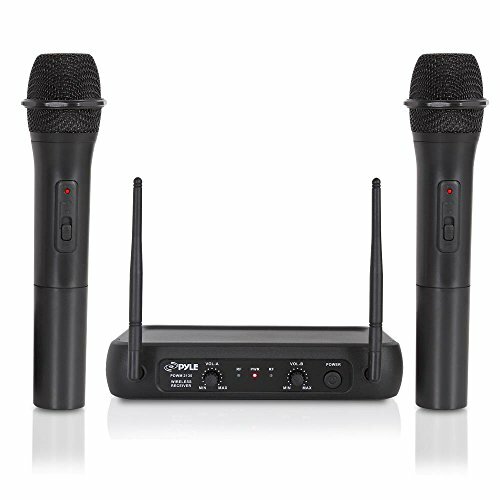 Whether used for work or play, for on-stage vocal performances or conference room speeches, this wireless microphone system will provide you with a quality audio experience. Enjoy hassle-free and reliable wireless sound transmission with today's latest system technology with this all-in-one package. 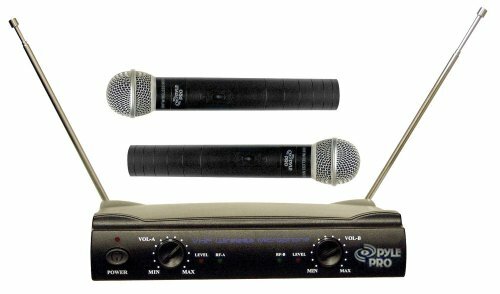 PylePro Dual Wireless Mic System. This is a good system for karaoke or other use. I never used the mic very far from the system so I never lost any signal. 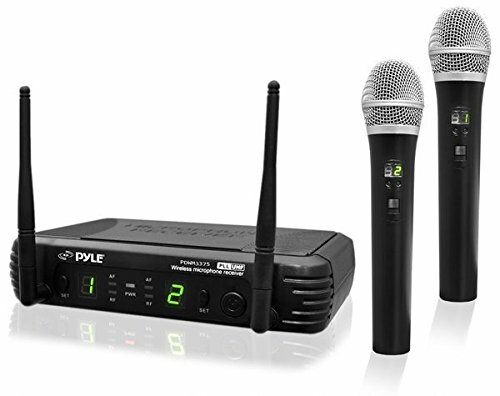 Compare prices on Wireless Pyle Pro Microphone at ShoppinGent.com – use promo codes and coupons for best offers and deals. Start smart buying with ShoppinGent.com right now and choose your golden price on every purchase.